Jackie Bouvier is an agent with the CIA. Her employment with the quite young intelligence bureau came suddenly and mainly on an impulse, first by the founding Director of the CIA and then by recent college graduate Bouvier. She was wrapping up her time at prestigious George Washington University in the nation's capital having returned from a junior year at the Sorbonne in Paris when she attended a party on the estate of her mother and step-father in a suburb of D.C. Also in attendance was family friend and excellent scout for clandestine talent, Allen Dulles, head of the CIA. Dulles needed someone in Paris, someone who knew the city and would not be suspected as anything close to an operative. She definitely knew the area having just lived there and the thought of doing something as exciting as an assignment appealed to the young, eager, and intelligent woman. He asked. She accepted. Two days later she was in France and standing over the body of a dying Russian would-be defector and learning that the killer was still in the room ready to pounce. Bouvier's life of privilege and wealth, inherited from rich grandparents and added to by her successful stockbroker father and her even richer step-father, certainly would not have prepared her for the shadowing world of the spy business but it did teach her self-reliance and not a little bit of 'just who do you think you are' haughtiness. Couple that with a quite keen intelligence and more than her share of gumption and a nascent agent resulted. Her career with the CIA would be brief - two recorded missions - before she would meet, fall in love with, and soon marry a Massachusetts Congressman, soon to be Senator and eventually President. But in 1951, that all would not start for another year and in the meantime, Dulles has uses for the sophisticated and spunky Bouvier. In a short career as an operative, her work would have her easily mingle as part of high society's upper crust as well as hobnob with show business up-and-comers like Frank Sinatra and Grace Kelly. She would handle it all - sipping champagne and dodging daggers - with equal style. 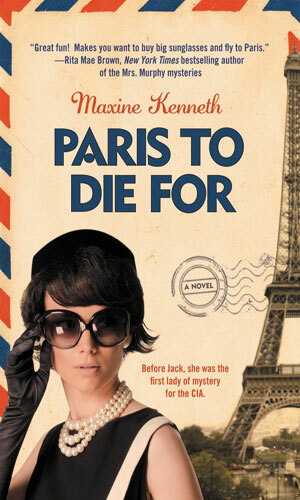 On her first assignment for the CIA, Jackie Bouvier is to meet up with a Russian in Paris and help him defect but he shows up dead and she barely escapes his killer. To find who is behind the murder, she must enter the High Society of that city in 1951. Having finished her official CIA training, Jackie Bouvier is eager to prove her merit on her second assignment. 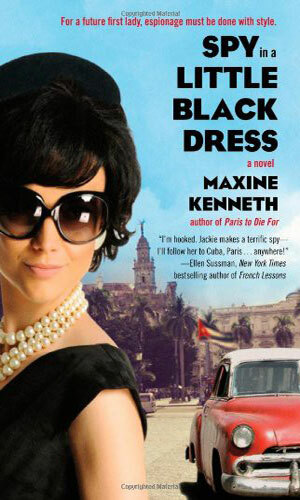 This time she is headed to Batista's Havana where she is to check out a young revolutionary named Fidel Castro. Okay, I have always had a very hard time with fictionalizing real people. I mean, I realize that the larger-than-life characters from the Wild West, like Wild Bill Hickok and Wyatt Earp were certainly not as we see them portrayed but at least they are usually shown doing things kind of like they sort of really did them. But to take someone like the former First Lady and make her into a spy, well, I had my doubts. Having read these two, I still have my qualms but at least the author had the intelligence to not make Jackie Bouvier become James Bond, despite having the same initials. If you like lighthearted and largely fanciful adventures, you might like this.